Commercial truck tires go far above and beyond the work of regular vehicle tires. Between long trips across the country from Chicago and Madison, these added miles and cargo add up, and can leave drivers wondering, “What is the commercial truck tire life expectancy?” Find out how much life to expect from your heavy truck tires below! What are Heavy Truck Tires? Heavy truck tires are considered for use on light, medium and heavy commercial vehicles over 10,000 pounds GVW. These truck tires are often constructed with a single steel body ply and 3 or 4 steel belts under the tread. The intent is that these heavy truck tires will manage many thousands of miles on their original treads and then be retreaded. There is a current debate surrounding the age of commercial vehicle tires. Some believe that, if a tire has aged, it should be replaced regardless of the actual condition of the tire. Others feel that, as long as tire and tread are in great condition, that the tire should continue to be used. If you are interested in finding the manufacturing date of your tire, it is located on the sidewall as part of the Department of Transportation number. If there are any bulges in the sidewalls, these could be potentially dangerous. There is a legal requirement in most states that the tire tread on commercial trucks is a minimum of 3/32 of an inch. If you need to check the tread of your tires, the penny trick is a simple way to go about it. Put a penny into the tread, with Lincoln’s head down. If the tread is at or above the head, you need to replace the tires. Of course, you can also get them checked out at Badger Truck & Auto Group. If your tire has lost its tread, you can look at having your commercial truck tire repaired. Just know that not every tire will qualify for retreading. Some may be rejected for retreading to age and others due to their condition. Ultimately, you’ll need the eye of an expert to determine if having your commercial truck tires repaired is a viable option. Your local heavy truck service center can help with these needs. Do you have additional questions about the condition of your commercial vehicle tires? 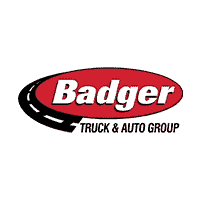 The certified technicians at Badger Truck & Auto Group would be happy to take a look at them. Schedule your service appointment online or feel free to contact us with any questions! 0 comment(s) so far on What is the Commercial Truck Tire Life Expectancy?